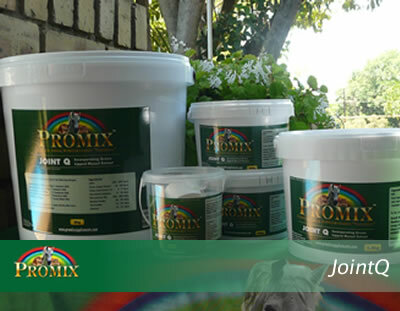 Promix Animal Supplements — Prime 'Natural' Nutrition Need Not Cost A Fortune!! This complete Joint Q supplement has been specifically formulated to ease joint inflammation. With maximum Glucosamine, Chondroitin, MSM & Green Lipped Mussel. 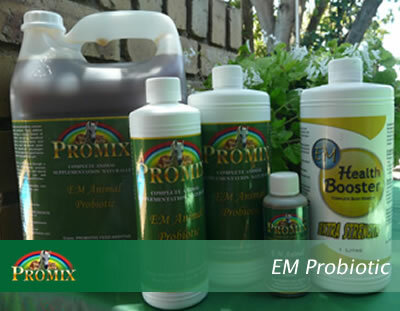 It is an essential supplement for all all animals with possible joint issues. 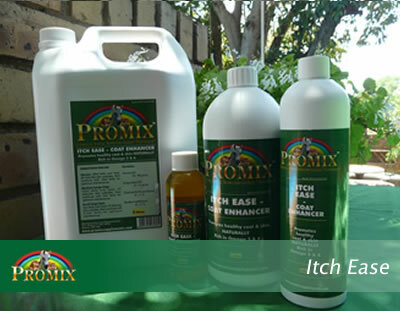 Promix Itch Ease Coat Enhancer is made from Canola and Grape seed oil infused with Rooibos leaves and Chamomile flowers. 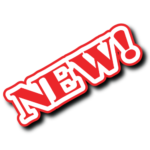 This product is made from totally natural ingredients and contains neither preservatives nor additives. 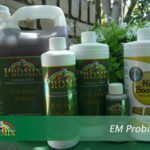 The word 'Probiotics' means 'for life' and has been used for centuries as a natural health promoter, which exerts health effects beyond inherent basic nutrition. 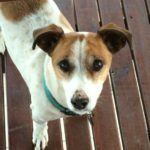 Vast research has been conducted where Probiotics have emerged as a valuable tool in both human and veterinary medicine, used rather as a preventative medicine than as a disease therapy. 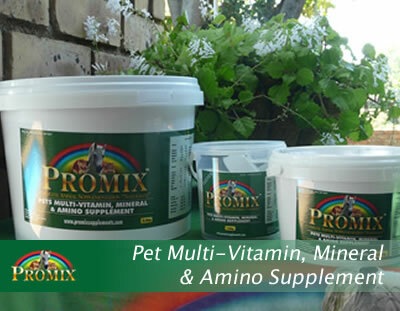 This complete Multi-Vitamin and Mineral Supplement has been specifically formulated that, together with an over the counter pet food, will meet all your pets daily natural nutritional needs. 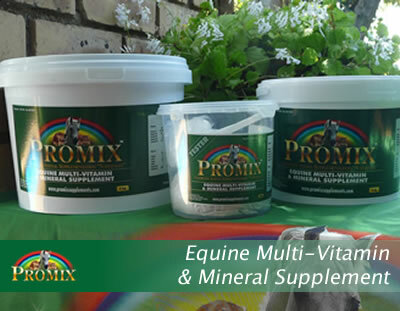 This complete Multi-vitamin and mineral supplement has been specifically formulated that together with fair concentrates and good grass, will fully meet all your horses natural nutritional requirements be they competition, hacks or breeding horses in illness and in health. 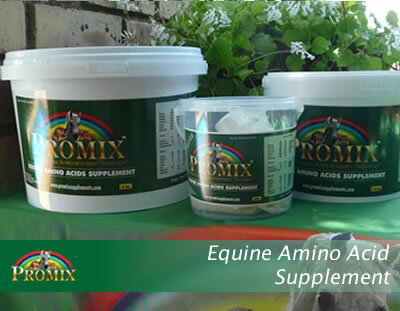 Promix Amino Acid supplement has been specifically formulated that, together with fair feed and good grass, will supply all the amino acids that horses require to synthesise and utilise their protein intake. 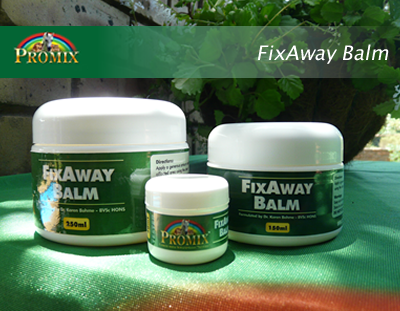 Choose FixAway Balm for a 'totally natural' wound balm that not only promotes rapid healing and new growth of healthy skin & hair, but is a great disinfectant, anti-inflammatory, anti-bacterial and is water resistant at a very affordable price. 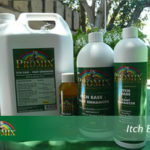 Ever wonder, what the pest repellents that burn your eyes and keep you sneezing are doing to your animals? 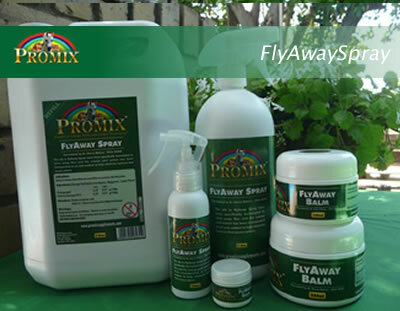 Choose Promix - FlyAway Spray & FlyAway Balm for a '100% natural' pest repellent that actually works, smells great, improves the skin and coat and is totally affordable to boot.